Trelda Tshechu of Dagana Dzongkhag is held every year on the 10th day of second Bhutanese month coinciding with Guru's Birthday. During the one day Trelda Tshechu, all the mask dances of the five day of Annual Daga Tshechu are performed in one day. 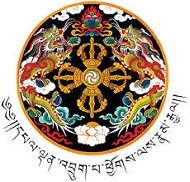 Daga Tshechu is an annual event of the Dzongkhag to honor Guru Padmasambhava-"one born from a lotus flower". The annual tshechu starts from the 11th day of the eleventh Bhutaness month and concludes on the 15th day of the eleventh month. Launch of local farm products. Read more about Launch of local farm products. Coinciding with Lord Buddha's Parinirvana, the Venerable Lam Neten of Dagana rabdey consecrated the butter lamp offering chamber (karmoe choekhang).